Modular hardware hasn’t exactly resonated with consumers. PC-on-a-stick devices like Intel’s Compute Stick and the sea of me-too devices that followed seemingly vanished overnight. Similarly, modular smartphone concepts like Project Ara never made it off the ground while companies like LG that did make it to market with modular products no doubt regret the decision. Nevertheless, the industry isn’t willing to give up on the idea just yet as Intel has demonstrated at CES with a new modular compute platform calling the Intel Compute Card. The idea is pretty straightforward. 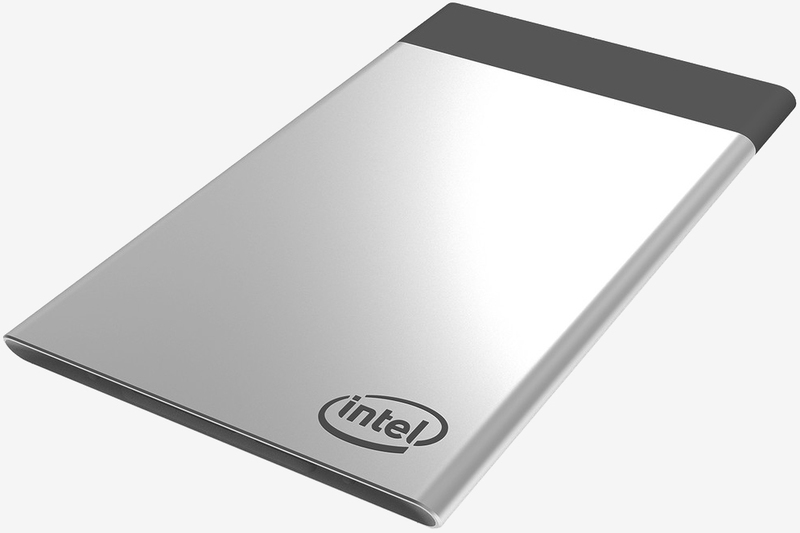 Intel’s Compute Card is essentially a full-blown computer with an Intel SoC, memory, storage and wireless connectivity that fits on a card roughly as thick as a few credit cards. Said card then gets plugged into the Compute Card slot of devices like interactive refrigerators, security cameras or IoT gateways. The lure here is the ability to easily upgrade the performance of a connected device without having to replace it entirely. Intel said it is already working with several large partners on the endeavor including HP, Dell, Lenovo and Sharp as well as multiple regional partners. The Compute Card seems like a great idea in theory although I’m not certain it’ll take off. Samsung tried essentially this exact same thing – albeit on a much smaller scale – with its HDTVs a few years back through a product called the Smart Evolution upgrade kit. Samsung seemingly discontinued that product line in early 2016. Intel says its Compute Card will be available by mid-2017 in a range of processor options including seventh-gen Intel Core chips.